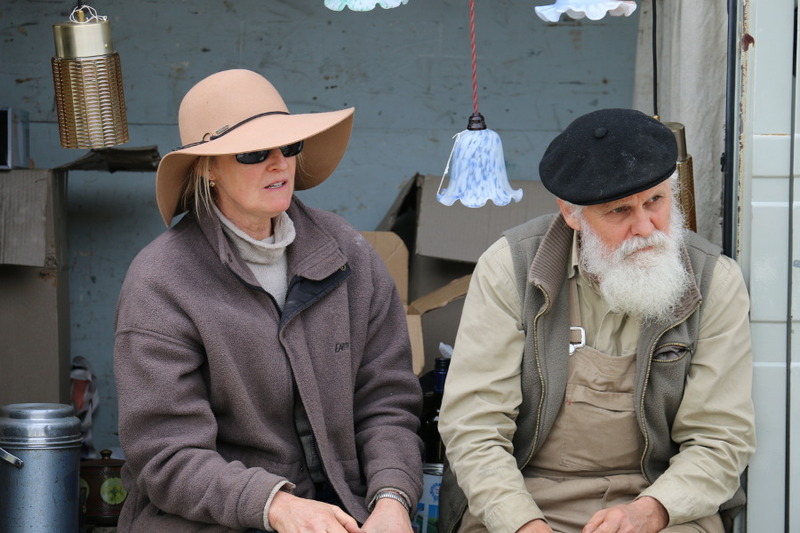 There’s nothing like a country market on a lazy weekend to get market enthusiasts out of bed early. So for those weekend visitors who love a good fossick, there’s no question of what to do in Daylesford on a Sunday morning. 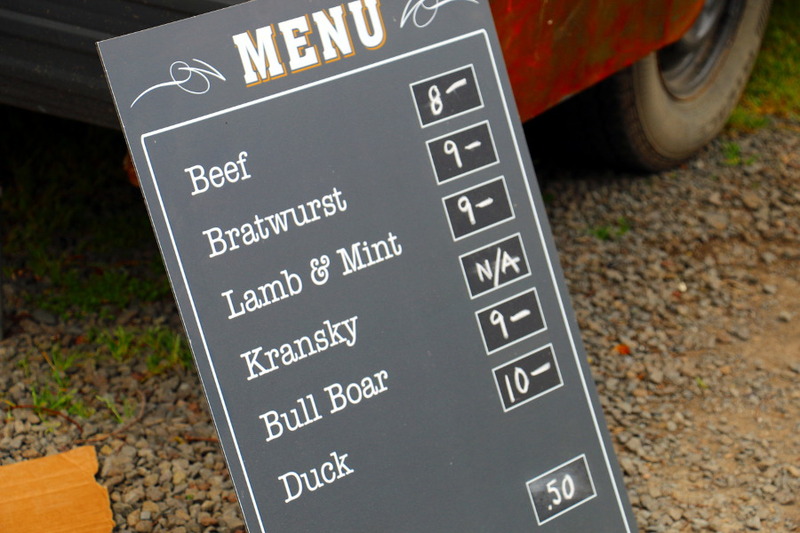 Grab your coat and a comfortable pair of boots and head to Daylesford’s Sunday market in Raglan Street. The market begins at 8am and runs till 3pm every Sunday. Stall holders turn up selling second hand goods, antiques, books, plants, flowers, fresh baked bread, sweets, cakes, vegetables, clothes and soap. Stalls change every week and there is always something new to discover. 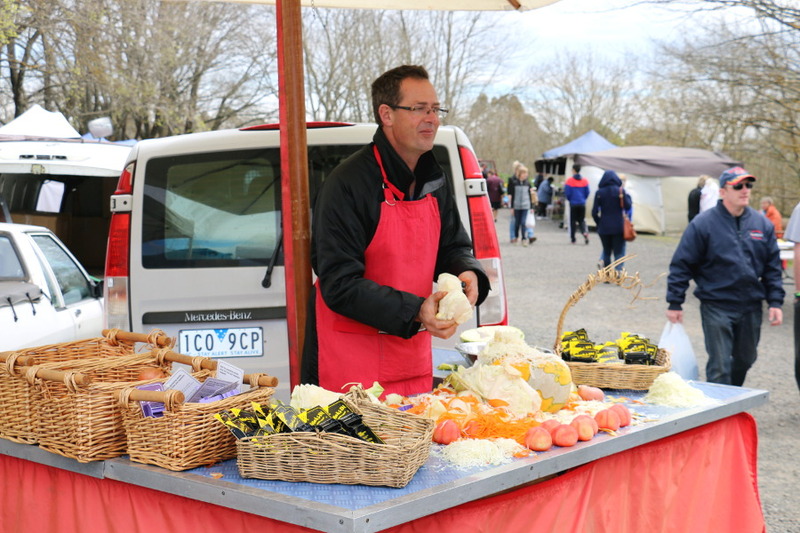 The Daylesford Sunday market has few pretensions and for many people represents a traditional country market. Stalls are laid out beneath large trees and parallel to the railway line. 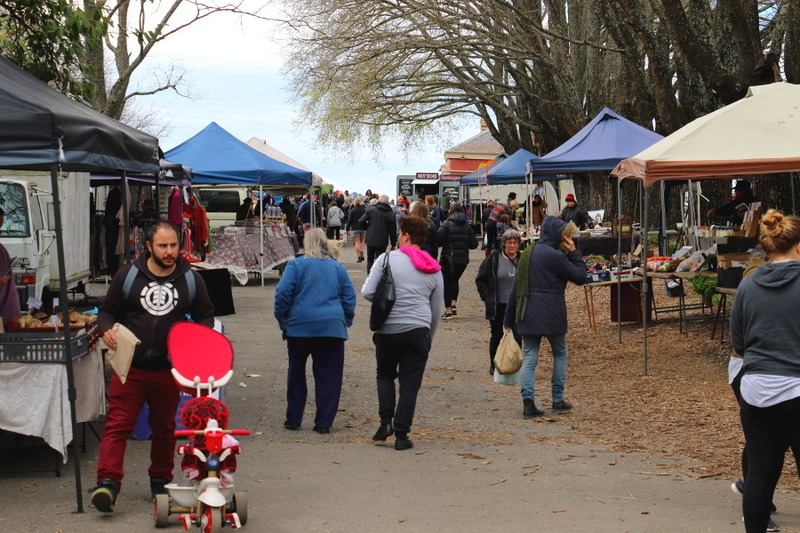 The market is a great place to spend a couple of hours on a Sunday morning, before heading back to town for lunch or a drive through the hills to a local winery. It’s also a great place to meet some of the locals. 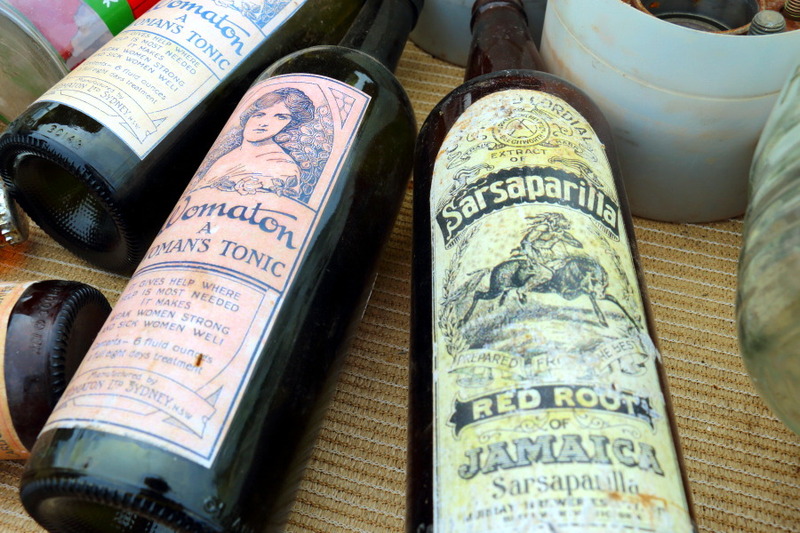 The market is a fossickers dream, particularly for those who love sentimental objects from a country bygone era. Old tins and bottles, light fittings, bakelite, mirrors, assorted furniture, household goods, old china and tools. 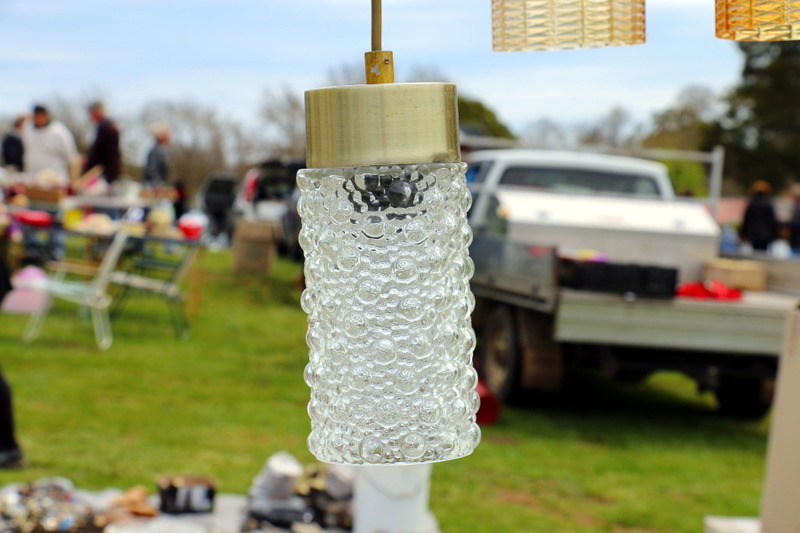 One person’s rubbish is another person’s treasure and the Daylesford Sunday market is the place to find your treasure at reasonable, non retail prices. 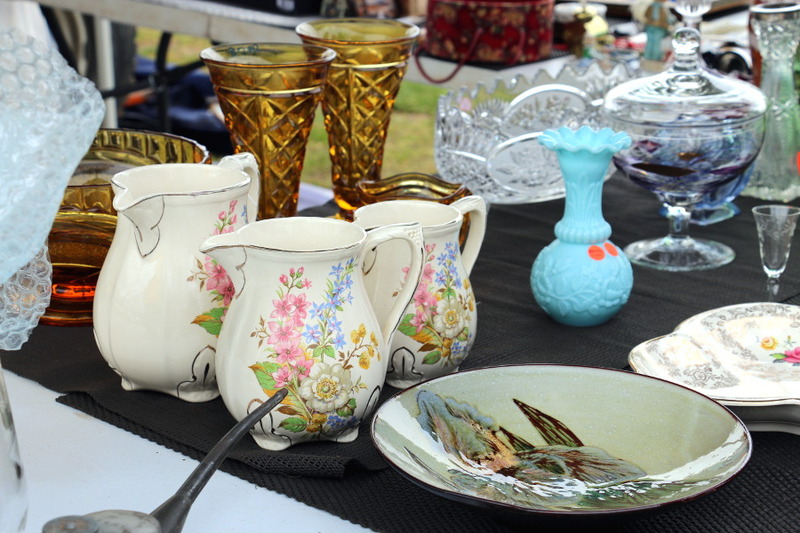 Although stallholders change each week, generally the selection of items for sale is pretty broad, including old tools and industrial type items and household and kitchen collectables. Assuming many people set off for the market early, by about 9.00am many will be feeling coffee and hunger grumbles. The Daylesford Sunday Market is the perfect place to grab yourself an early morning coffee, a croissant, sweet or cake from a local producer. Pick up a loaf of sourdough or flat bread for a late brekkie or a picnic lunch from a local bread maker. Local honey is also on sale at one of a few honey stalls, as well as local tastings at a variety of produce stalls. Shoppers can also pick up seasonal fresh vegetables, nuts and dried fruits. 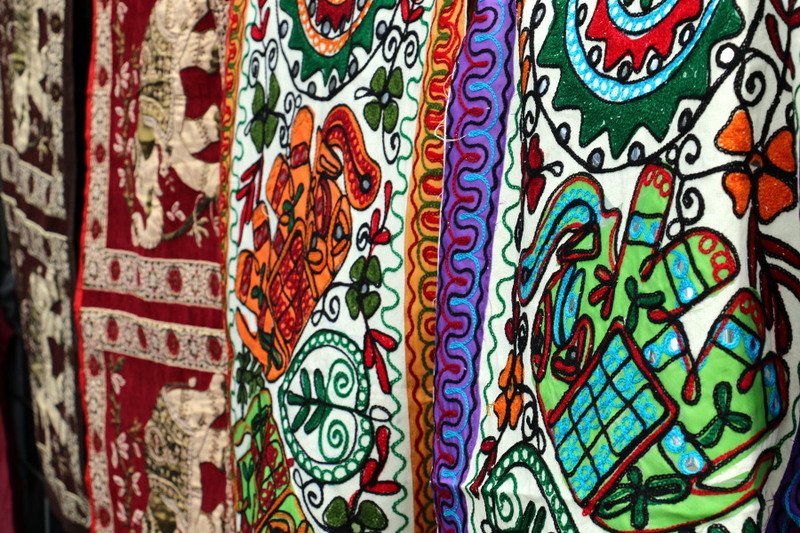 The market showcases the talents of many local artists and crafts people selling a range of products, from scarves and hats to gifts, jewellery and hand made soaps. The Spa County Railway operates regular train rides each Sunday from the market. Starting from the 1882 built train station, the one hour return trip travels through the hills, farmland and bush to historic Bullarto. 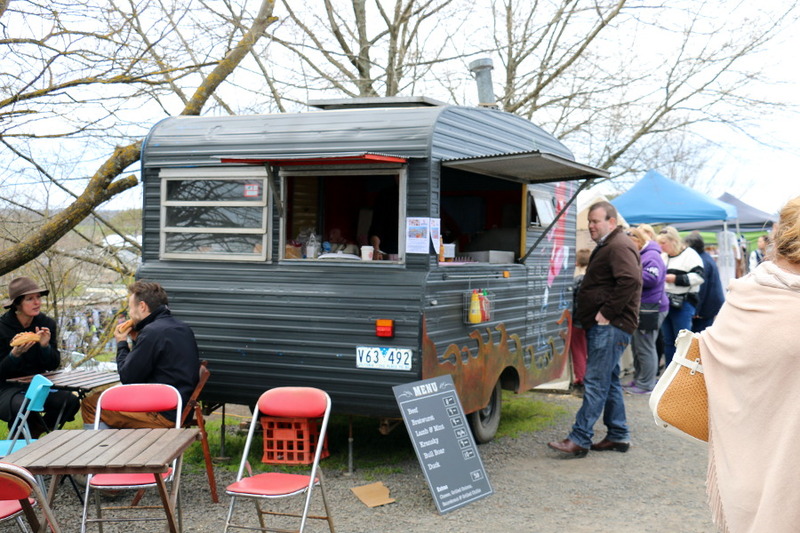 The Daylesford Sunday market is located at 18 Raglan Street at the Daylesford railway station. All stalls are outside and in cooler weather it it advised to rug up well and wear sturdy boots. If staying in Daylesford and the weather is fine, visitors can walk up Raglan Street, past Cliffys’ Emporium, to the market. There is plenty of free parking available for those who drive. There are so many things to see in Daylesford on a Sunday. During cooler weather, fossick for hours indoors at the Mill Market. Don’t miss The Convent Gallery or just enjoy browsing in the main street among the vintage and antique shops and boutiques. For active visitors searching for what to do in Daylesford, there are plenty of easy and challenging walks to enjoy. Walkers should not miss Daylesford Lake – an easy 30 minutes, The Peace Walk, takes visitors on a scenic walk around the lake. Rather than driving, why not walk to the beautiful township of Hepburn Springs. The walk will take about 50 minutes and there are lots of historic buildings and birdlife to enjoy along the way. For enthusiastic walkers the five hour, Tipperary Walking track, from Daylesford to Hepburn Springs is highly recommended to really get to know the local landscape. A little further afield is historic Lavandula, a ten minute drive from Hepburn Springs. Enjoy lunch in the La Trattoria cafe on site and enjoy fields of lavender and European style vegetable, herb and flower gardens. Stay tuned to our blog for more suggestions and reviews for what to do in Daylesford and further afield during your stay. You can also follow us on Facebook to keep up to date. There are so many accommodation options in the area. Hepburn Springs luxury accommodation is available at Hepburn Spa Pavilions, offering a choice of Saffron and Horizon – beautiful spa villas with huge hydro spas overlooking the Hepburn Bathhouse or Kookaburra Ridge, an amazing country house on two acres of landscaped gardens. More information Hepburn Springs luxury accommodation.